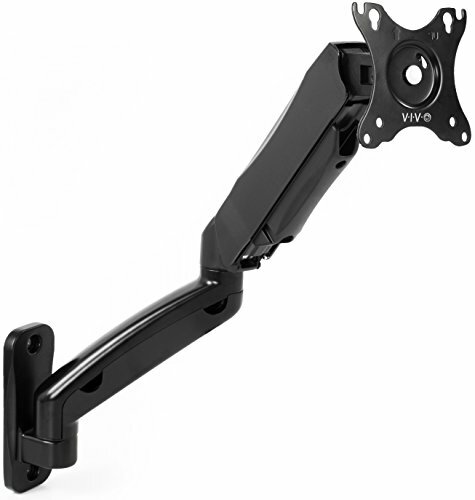 MOUNT-V001G is a brand new single monitor gas spring wall mount from VIVO. 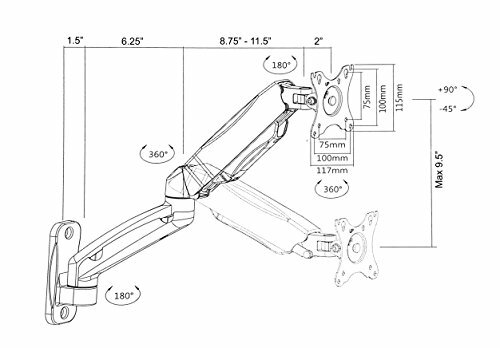 The gas spring extended arm allows for simple height adjustment without the use of tools and is fully adjustable for setting the monitor to almost any viewing angle. 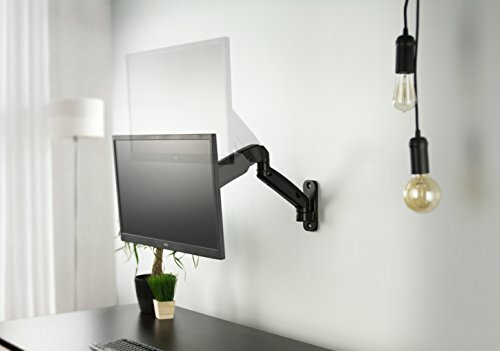 Comes with necessary hardware for an easy mounting process including mounting screws, anchors, washers, and VESA screws. AV and power cords are kept organized by the integrated cable management. MOUNT-V001G is compatible with standard VESA 75x75mm and 100x100mm and fits screens up to 27" in size and 14.3 pounds in weight. 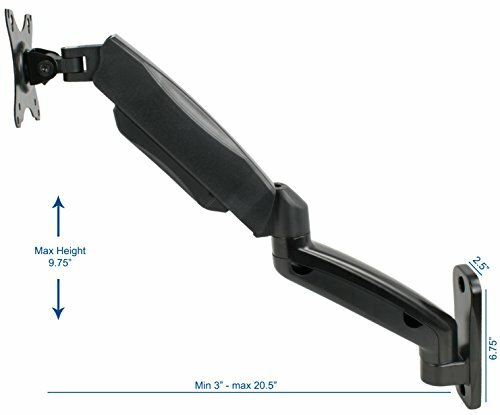 Monitor can be placed in landscape or portrait position. 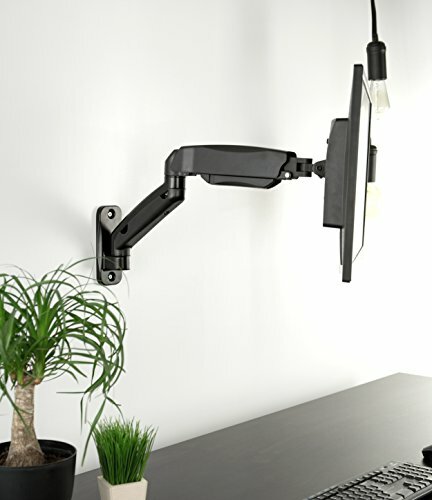 The articulating arm reaches a max 21.25" from the wall. 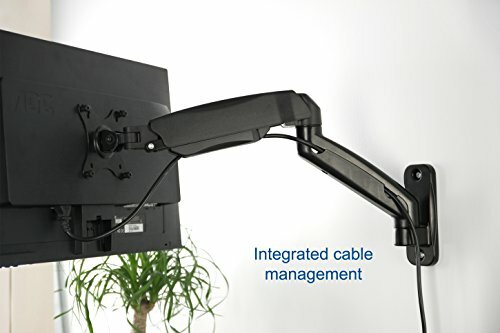 INTEGRATED CABLE MANAGEMENT- Keep AV and power cords out of sight and organized.